The KIP 880 delivers unmatched multi-function copy, scan and print performance for high demand enterprise workflow. Engineered to deliver vibrant consistent colour quality from first to final print. The integrated dual footprint configuration multitasks scan and print production, saving valuable project time. 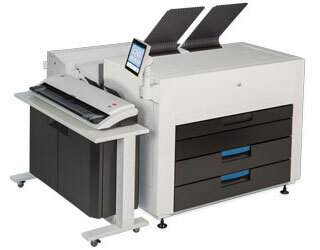 Smart touchscreen automation simplifies complex copy, scan and print processes for single touch control.